Consumers have been working hard to avoid products that have been amino acid spiked or deceptively marketed, but on the flip side, lawyers seem to be rushing to the scene. On January 23, 2015, a class action lawsuit was filed against CytoSport, makers of the ever-popular Muscle Milk product line. 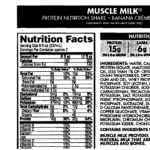 The complaint alleges that the following products do not meet label claims, via “misrepresentations regarding defendant’s products’ protein content”. What products are allegedly in violation? Unfortunately, we do not have any of the lab tests with detailed amino acid profiles, so this is difficult to confirm. There are no exhibits attached (nor are they referenced). Instead, the complaint references a third-party supplement testing website named LabDoor, but we’ve been told that there was separate testing done. The lawsuit takes particular offense to L-Glutamine, the conditionally essential amino acid that is claimed to be inside of the Muscle Milk family of products. However, L-glutamine was not found in “any appreciable amount” in any of these products. Lean Lipids not so “Lean”? 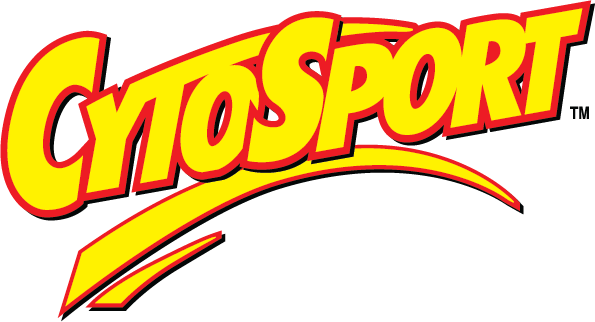 The complaint also takes offense to the word lean used in CytoSport’s trademark, Lean Lipids. The plaintiffs state that it is “oxymoronic” and that the phrase suggests it contains less fat than other similar supplements, which they then claim to be demonstrably false. 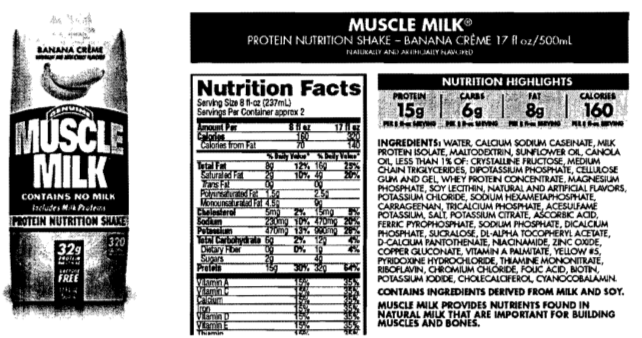 Did CytoSport mislead and deceive here? That’s up to the courts… but we’d like to see more data first. In short, all of the above acts are accused of being misleading and deceptive. This isn’t specifically about amino acid spiking like the other lawsuits. The lawsuit was filed in nationally, in California, in Florida, and in Michigan, and is clearly the largest of any of the amino acid spiking-based lawsuits we’ve seen to date. As always, we must state that these are only accusations, and nothing is proven until due process has taken place. Further, there are no internal lab tests here, nor are they even referenced. Instead, they are referencing a third-party website – one which we do love – but one which has commercial interests and has never shown a chain of custody (or at least made a statement about it) to prove that there was no tampering of the product between manufacturing and the lab test. Until more data is available, we remain speculative that this suit will go anywhere, but it of course depends on the full information as well as the judicial system’s decision-making process. So is glutamine good or bad? Point is, supplement companies now know that they better put what they’re claiming on the label, and they better test both their raw materials and their outgoing product, lest they dance flirt with one of these legal teams down the road. It’s a scary time to be a supplement company who’s selling protein and isn’t doing the required cGMP testing. Over on Facebook, our discussion veered in the direction of “this isn’t that bad”. No Comments | Posted in Scams, Supplement Industry News, Supplement News | Tagged Amino Acids, Cytosport, Glutamine, Lawsuit, Protein Powder, Scams.